Whether you like it or not, self-driving cars are coming, and depending on where you live, they might already be here. Google’s parent company Alphabet has had fully autonomous cars on the road for over a month, while Uber has its own self-driving fleet cruising the streets of Pittsburgh, with a deal to buy as many as 24,000 SUVs from Volvo that it plans to turn into autonomous vehicles. However, just because the tech is there, that doesn’t mean the infrastructure supporting self-driving cars has all been figured out, which is why Alphabet is partnering with the insurance startup Trov to cover passengers riding in its autonomous Waymo cars. This deal is important because it helps address tricky questions like, “Who is responsible for damages or medical costs in the event of a self-driving car accident?” Without a deal like this, it’s possible that riders in autonomous vehicles would need to have personal robo-car insurance similar to renter’s insurance, providing coverage even when they’re riding in a vehicle they don’t own. 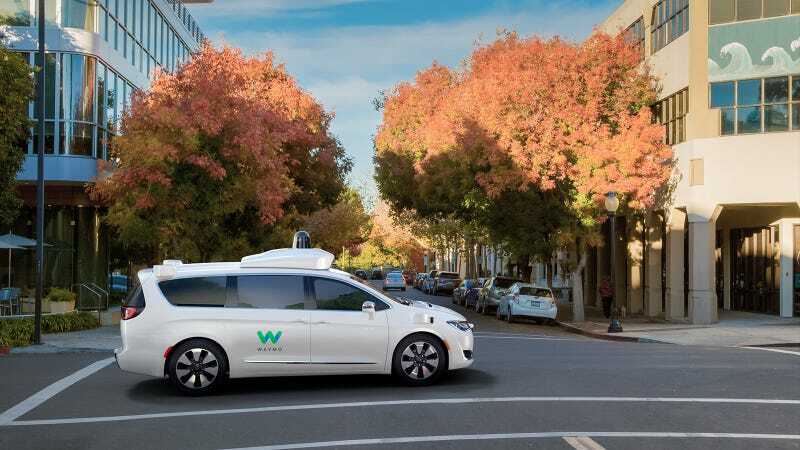 Thankfully, Alphabet’s deal with Trov will function differently, with the startup automatically insuring Waymo passengers for damaged property, lost items and trip-related medical expenses. The coverage will reportedly come included with the purchase of a ride, requiring no additional sign-up from riders. According to The Wall Street Journal, passengers will not even know Trov is the company providing coverage—which could be a good thing for the startup, since Waymo is its first corporate customer. The Journal also reports that Trov’s insurance policies will be underwritten by a section of reinsurer Munich Re AG, which invested $45 million into Trov earlier this year. That said, many details surrounding the coverage of self-driving cars are still in flux. Just a couple of weeks ago, regulators in California ditched plans to allow self-driving car makers to evade liability in accidents where the vehicle had not been maintained according to manufacture specifications. But with autonomous cars threatening to slash the price of car insurance premiums, there’s clearly a market for more agile startups to challenge behemoths like State Farm, Allstate and Progressive.